Have you ever wondered what 'our' birds get up to when they're not pinching our peanuts, pilfering our pyracantha berries or nesting under the eaves of our homes? 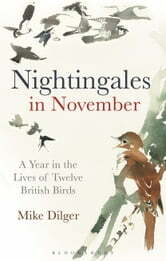 The One Show's natural history star Mike Dilger tells us the answers in Nightingales in November. This brilliant almanac tells the very different personal and annual stories of twelve well-known birds we deign to call 'British'. Through a lyrical narrative, Nightingales in November showcases amazing avian facts gleaned over decades by birdwatchers, ringers, nest recorders and migration recorders. The perfect 'dip-into' book, any enquiring naturalist will be able to find out such facts as where British-breeding swallows spend Christmas Day, when to look out for juvenile tawny owls, or when is the best date in the calendar to listen out for nightingales. By using a combination of cutting-edge satellite technology and millions of ringing records, Nightingales in November reveals the mysteries of migration, tracking the regular movements of, for example, cuckoos for the eight months they're not in the UK, or divulging why not all robins are the 'stay-at-home' territorial types we once imagined. Illustrated throughout by Darren Woodhead, the birds featured include a rich mix of resident birds, summer visitors, winter visitors and passage migrants. 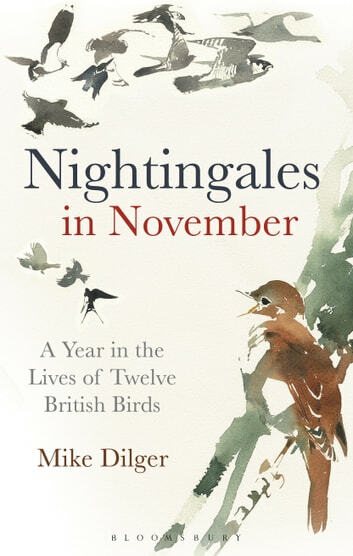 Nightingales in November is a great read for anyone with a fondness for British birds.